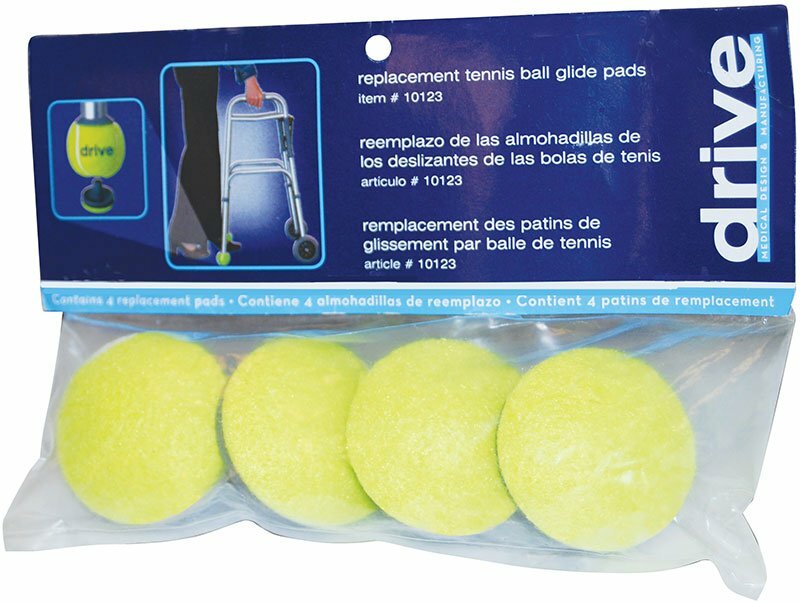 The Drive Medical Replacement Tennis Ball Glide Pads are used to ensure the longevity of our Tennis Ball Glides for walkers. Provides a quiet, smooth and durable glide experience when used with a walker. Easy and safe to install. Comes with an additional pair of glide pads. Lasts longer than plastic glide cap.